The undergraduate curriculum in art, leading to a bachelor of fine arts (B.F.A. ), provides an opportunity for the student to combine a general liberal studies education with the studio practice required for a professional degree. Students are encouraged to work across disciplines focusing on an intellectually rigorous independent practice. The first two years of study provide a broad introduction to the arts and a basis for the intensive studio experience of the last two years. The B.F.A. curriculum includes a semester-long opportunity to experience professional and global art worlds in New York City or Rome, Italy . The final year is focused on the development of a visual thesis. * P.E. classes do not count as academic credit. 1. B.F.A. students are required to enroll in a minimum of one and a maximum of three studios per semester. All B.F.A. students are provided access to workspaces and labs. Students are expected to be present during regular class hours for instruction and criticism. *ART 2501 must be completed in the first fall semester of study. B.F.A. students are required to successfully complete three 3000-level studios from any of the six different studio practice areas. Students may enroll in a 3000-level studio if they have successfully completed the 2000-level studio in that same studio practice area. B.F.A. students will complete ART 3005 and either or both of the off-campus advanced practice studios - ART 3001 - Rome Studio /ART 3003 - New York City Studio by the end of the third year. Students pursuing the B.F.A. concurrent degree option are expected to enroll in ART 3005 in the fourth year of study. ART 3005 is a pre-requisite for ART 4001 . In the final year of study, B.F.A. students enroll in ART 4001 and ART 4002 . All required 3000-level studios and ART 3005 must be completed before ART 4001 - Thesis I , and all elective 3000-level studios must be completed before ART 4002 - Thesis II . In the first fall semester of study, B.F.A. students enroll in ART 2103 . The ART 2103 requirement cannot be fulfilled with transfer credit. After ART 2103 has been completed, B.F.A. students must successfully complete a theory and criticism elective. Student may satisfy this requirement with ART 3102 (Cornell in Rome), ART 3103 (AAP NYC), or another approved theory and criticism elective . B.F.A. students are required to successfully complete one First-Year Writing Seminar by the end of the first year. B.F.A. students cannot satisfy the writing requirement with advanced placement credit. B.F.A. students are required to successfully complete five humanities and social sciences classes of 3 or more credits. Classes must be selected from the following six humanities and social sciences categories, with no more than one course in each category and no more than three courses in any one academic department. AAP recognizes the CA, FL, HA, KCM, LA, and SBA classifications by any college at Cornell University as long as the class is taken for 3 or more credits and for a letter grade. If a class has been classified as a humanities or social sciences course, the code will be included in its course description in Courses of Study with the exception of foreign language (FL) courses. FL courses may not be coded in Courses of Study; all foreign language courses of 3 or more credits count as FL. For more information, please refer to the humanities and social sciences definitions in this catalog. History of architecture offerings in the Department of Architecture (ARCH 3810-3823) can be applied toward the HA or LA category. Theory of architecture offerings in the Department of Architecture (3301 - 3399) can be applied toward the LA category. First and second-year core offerings in the Department of City and Regional Planning (CRP 1100 , 1101 , 2000 , and 2010 ) can be applied toward the SBA category. B.F.A. students are required to successfully complete one class in the area of mathematics and quantitative reasoning (MQR) and/or physical and biological sciences (PBS) . See the list of approved MQR/PBS classification codes . *B.F.A. students can apply ART 2907 /ARCH 3702 toward the MQR requirement. Free elective credit can be satisfied with any academic-level course offerings in any academic area at Cornell, including AAP. Please note that the AAP policy on non-academic credit applies to the free elective requirement. Please refer to the AAP policy on non-academic credit for additional information, including a list of excluded courses. Free electives may be taken for a letter grade or S/U. B.F.A. students may take advantage of off-campus study opportunities at AAP NYC and/or Cornell in Rome to gain added exposure to professional and global art worlds. Students should consult with their advisor to plan how their B.F.A. curriculum will coordinate with off-campus study. B.F.A. students in good standing with a cumulative G.P.A. of 2.750 or better are eligible to study at Cornell in Rome and/or AAP NYC. Students apply to Cornell in Rome and/or AAP NYC semester through a competitive process determined by the department. Meeting the minimum eligibility criteria does not guarantee acceptance into the off-campus option, and off-campus study is contingent on adequate enrollment. For additional information, meet with the off-campus study coordinator in the AAP Office of Admissions and Academic Services, 235 Sibley Dome. The AAP NYC semester is a collaboratively developed and conceptually linked plan of study with studio and theory courses and optional internships that utilize the remarkable resources of New York City. Faculty members include practicing artists, theorists, critics, and curators. Field trips to galleries, museums and artist studios are integrated into the curriculum. Within the context of AAP NYC’s course offerings, optional internship, and immersive exposure to contemporary art and artists, students get an inside look at the urban NYC art world. Each student has access to studio space where they are encouraged to develop work according to their independent practices and may take advantage of group exhibitions in the AAP NYC space. Learn more about AAP NYC. Students enroll in ART 3003 - New York City Studio , ART 3103 - New York City Seminar , ART 3805 - Interdisciplinary Perspectives on Metropolitan Studies , and ART 3903 - NYC Professional Practice . Students also have the option of undertaking an approved internship. The Cornell in Rome semester is a collaboratively developed and conceptually linked plan of study with studio and theory courses and optional internships that draw upon the extensive contemporary and cultural resources of Italy and greater Europe. Each student has access to studio space where they are encouraged to develop work according to their independent practices. The semester provides an experience unparalleled for artistic, intellectual, and personal growth where students may develop their studio practice in any medium. Designated art faculty from Ithaca and Rome plan a rich schedule of field trips that relate to the art curriculum. Fieldtrips during past semesters have been to Milan, Venice, Padua, Florence, and Naples as well as nearby Berlin, Germany. Cornell in Rome participants have the opportunity to exhibit in galleries and art spaces locally. Learn more about Cornell in Rome. Students enroll in ART 3001 - Rome Studio , and ART 3102 - Contemporary Rome Seminar . Students may enroll in additional electives, choosing from Italian and art and architectural history offerings. Students interested in an internship apply for placement and enroll in ART 3902 - International Professional Practice/Internship . B.F.A. students are expected to satisfy all B.F.A. degree requirements and follow the rules governing the B.F.A. program. Any deviation must be petitioned prior to the act. Petitions should be submitted to the AAP Office of Admissions and Academic Services, 235 Sibley Dome. Failure to comply with any department rules or petitions decisions may result in review by the College Academic Review Committee (ARC). At the end of each semester, the college’s ARC goes over the record of each student who is not in good academic standing and decides an appropriate action. For additional information, refer to ARC Policies and Procedures . All B.F.A. students are required to take a minimum of 12 and not more than 20 academic credits per semester. To enroll in more than 20 credits, students must have a cumulative grade point average of 3.000 or better and petition for permission. Petitions must be submitted prior to the act. B.F.A students are required to enroll in a minimum of one and a maximum of three art studios each semester. Students are expected to be present during regular class hours for instruction and criticism. All classes must be taken for a letter-grade with the exception of free electives. Free electives may be taken for an S/U grade. In addition, all college and university grading policies apply to B.F.A. students. 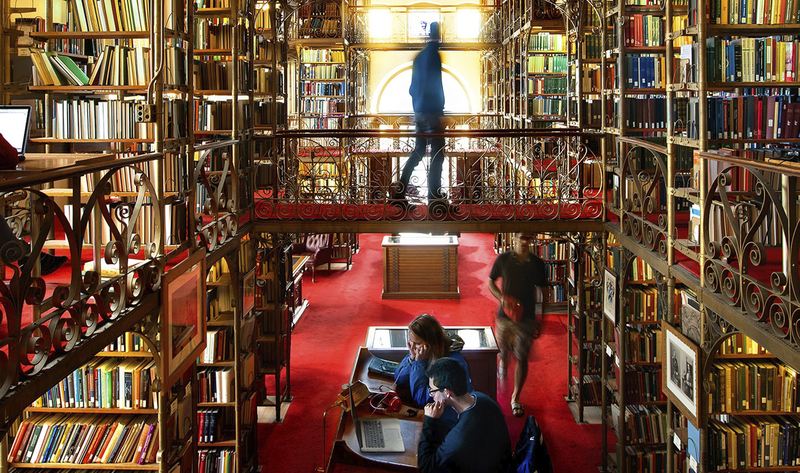 All Cornell courses numbered 1000–1099 do not count toward graduation. All ART courses numbered 1100–1999 count as free elective credit only. The college and university advanced placement credit policies apply to B.F.A. students. For B.F.A. students, advanced placement credit is applied as free elective credit only. Please refer to the Advanced Placement section of this catalog for additional university guidelines regarding AP credit. Independent study courses in the Department of Art are offered on the Ithaca campus in the Fall and Spring semesters only. Students enroll for variable credit, for up to a maximum of 4 credits. Independent studio courses of 4 credits taken for a letter grade are applied as elective 3000-level studios. Independent studio courses of fewer than 4 credits and/or taken for an S/U grade are applied as free elective credit only. Enrollment in an independent study requires an approved Independent Study Form. The above information must be verified by the AAP Office of Admissions and Academic Services on an Independent Study Form prior to enrollment. The B.F.A. program is an eight-semester program. The B.F.A. concurrent degree option requires ten semesters. Students who transfer into the B.F.A. program must complete a minimum of four semesters in residence (Ithaca/Cornell in Rome/AAP NYC). B.F.A. students are required to spend the last two semesters of candidacy in residence in Ithaca. The following B.F.A. transfer credit policies apply, in addition to general college transfer credit policies and procedures. In addition, the modern art history and non-western art history requirements cannot be fulfilled with transfer survey of art history courses. Such courses will be applied toward the humanities and social sciences requirement under the category of literature and the arts (LA). To ensure a timely transfer of credit, incoming transfer students are required to submit course equivalency requests immediately upon acceptance. Students should also meet with the academic services staff as soon as possible but no later than orientation to review how their credits are applied toward the Cornell degree and for course enrollment planning. Students wishing to deviate from requirements or and/or policies must petition the art department for permission. Petition forms are submitted to AAP Office of Admissions and Academic Services, 235 Sibley Dome. Petitions must be submitted prior to the act. Further, students wishing to take more than the standard number of credit hours should have a cumulative grade point average of 3.000 or better. Petitions should be submitted only if there are clearly extraordinary circumstances that merit special consideration. In order for a petition to be approved, circumstances must be extenuating. Once submitted and acted upon, petitions can only be reversed by subsequent petition. Appeals: A student has ten days from the time of the petitions decision to appeal the decision in writing. Appeals should be submitted directly to the Department of Art, 224 Tjaden Hall, for review and vote by the full tenure/tenure-track art faculty. The faculty decision on the appeal is final. No further appeals will be considered. The five-year concurrent degree option allows students to earn a B.F.A. as well as a bachelor of arts (B.A. ), or a bachelor of science (B.S.) from another college at Cornell University. Students usually apply to the concurrent degree option during their second year. Concurrent degree candidates must satisfy all requirements for both degrees and earn a minimum of 160 academic credits. At least 64 of the total credits must come from courses offered in the Department of Art. Concurrent degree candidates are eligible to participate in Cornell in Rome and/or AAP NYC in the third and/or fourth year. It is expected that a concurrent degree candidate will complete ART 3005 - Advanced Practice in the fourth year, ART 4100 - Senior Seminar and ART 4001 - Thesis I in the fall semester of the fifth year, and ART 4002 - Thesis II in the spring semester of fifth year. The art minor is an opportunity for students who are not enrolled in the Department of Art and who have a serious interest and/or background in studio art to continue their commitment to art at the college level. The curriculum for the minor in fine arts totals a minimum of 24 credit hours. All coursework must be completed at Cornell University, and a grade of C or better is required. In addition, any coursework used to fulfill the minor cannot also be used to fulfill specific requirements of the student’s major. Interested students must complete an Intent to Minor form in order to receive priority in the studio enrollment process. Completed forms should be submitted to AAP Office of Admissions and Academic Services, 235 Sibley Dome. Upon successful completion of all minor requirements, students must submit an Application to Graduate with a Minor in Fine Arts to the Department of Art, 224 Tjaden Hall, at least one month prior to graduation. The Department of Art will verify completion of the minor and the minor will be recorded on the official transcript at the time of degree completion. Questions regarding the minor can be directed to the AAP Office of Admissions and Academic Services, 235 Sibley Dome. The program is an intensive and intimate community which has an exceptional breadth and integration of its context. Each student works closely with a special thesis advisor of their choosing that can encompass faculty members from across the university, allowing for a specialized and unique experience. The MFA program is a two-year, full-time program of study. Students are required to be in-residence for the duration of the program. In addition, M.F.A. students must successfully complete 18 credit hours of Art History. The art history requirement can be satisfied with undergraduate coursework taken prior to matriculating* and/or graduate coursework taken at Cornell. If the art history requirement has not been satisfied prior to matriculating, the art history credits taken at Cornell can be applied toward the 12 credit hours in academic subjects that are taken outside the Department of Art. *Undergraduate Art History: Students who have already completed art history coursework may apply for equivalency credit. Credit will only be applied through an approved course equivalency request, and this process should be completed in the summer prior to matriculation. Equivalency requests are reviewed by the Director of Graduate Studies (DGS) and must meet college and university transfer credit criteria. Please refer to the AAP Office of Admissions and Academic Services for specific procedures and deadlines. Each graduate student will have a three-member M.F.A. Advisory Committee composed of an Advisor of Record from the Department of Art’s general graduate faculty, and two additional members. One of these additional members must be from the Department of Art’s general or divisional graduate faculty; the other may be graduate faculty from outside the Department. In the first semester of study, the Director of Graduate Studies will assign the student an M.F.A. Advisory Committee. By the end of the first semester, the student has the option to select an Advisor of Record and two members by applying the requirement above. In addition to the required members, the student may add other graduate faculty from Cornell. All members of the M.F.A. Advisory Committee must be general or divisional members of the Graduate Faculty. M.F.A. students must meet with their M.F.A. Advisory Committee members as a group a minimum of two times per semester, and must meet individually with each special committee member, a minimum of one time per semester, exclusive of the end-of-semester grading reviews. M.F.A. students must schedule two of the meetings with their full M.F.A. Advisory Committee, the first of which must take place by October 12 in the fall semester, and by March 12 in the spring semester. In the event that a committee member takes a leave (sabbatical or otherwise), the student is required to choose another grading member as a replacement. This replacement must be a general or divisional member of the Cornell Graduate Faculty. Any member may resign at any time from an M.F.A. Advisory Committee; failure to reconstitute a three-person M.F.A. Advisory Committee precludes a student’s further registration in the graduate program. Each year the Director of Graduate Studies will establish the due dates and deadlines of the thesis work. Students should refer to the M.F.A. Schedule and Deadlines for due dates. Students are responsible for turning in completed work to their committee by stated deadlines. The college Registrar establishes dates for completion of the degree requirements. It is the student’s responsibility to be aware of these dates and comply with stated deadlines. The artist statement must be submitted at least 5 days prior to the final review. The thesis exhibition must consist of work which furthers and/or exemplifies the student’s ongoing creative production. The student shall be prepared to verbally address both the artist statement and visual thesis during the time of exhibition. The M.F.A. Advisory Committee will direct the thesis review and it will be open to all interested faculty members. The artist statement must deal with the aesthetic, conceptual, and/or art historical issues of the students’ creative work. The M.F.A. Committee must approve of the content, approach and length of the statement. The format and length of the artist statement should be determined by the student’s M.F.A. Advisory Committee, and must be completed and delivered to that committee prior to the thesis exhibition and oral examination. The statement is part of the final review, and therefore no extensions will be granted. At the end of each semester, the M.F.A. Advisory Committee reviews the records of each student who is not in good academic standing, review the students’ progress, and makes specific recommendations for the student to improve performance within a specified period of time not to exceed one semester. These specific recommendations and time limits will also be clearly stated in a letter to the student from the Advisor of Record with a copy to the Director of Graduate Studies (DGS) and the student record. At the end of the specified period the student will be reviewed again by the committee and if satisfactory the student may proceed with the M.F.A. program. If student progress remains unsatisfactory the Advisor of Record will resign immediately in a letter to the student with copies to the DGS and student record. This will terminate the student’s registration in the M.F.A. program and all financial support will cease. If the M.F.A. Advisory Committee unanimously fails a student on an end of semester or thesis exhibition grading review and refuses to allow further review, the student may not continue in the graduate program. The student can appeal this through a formal petition. The student can continue in the program only if the majority Art Faculty approves the petition to do so. 1. Leaves will be granted at the discretion of the M.F.A. Committee. Leaves will be granted for a minimum of one-year in length. At the end of the leave, the student must either request to return from leave or request to renew the leave. A leave of absence may be renewed up to two times. After three years, a leave will convert to a withdrawal from the program. Once withdrawn, a student wishing to return to study must re-apply for admission. 2. Return from a voluntary leave of absence is at the discretion of the graduate field committee, and funding is not guaranteed. Requests for spring-semester return must be made by October 1, and requests for fall-semester return must be made by March 1. Failure to return from leave or renew a leave at the end of the one year term will result in withdrawal from the program. Once withdrawn, a student wishing to return to study must reapply for admission. Students wishing to return to the program must complete a Request to Return from a Leave of Absence form. Studio space will be provided for each graduate student, based on the available space in the college. Students must comply with all departmental and university rules and regulations regarding and maintaining this space. Requests and supporting statements must be submitted in writing to the advisory committee. All committee members must approve and sign the request, such requests will be kept on file in the student’s official record. Requests that are not granted or unresolved may be appealed to the Dean of the Graduate School. The students’ committee may consult with the Art Department faculty in an advisory capacity regarding the conflict. The graduate student is responsible for keeping track of and completing all program requirements. Students requesting a leave of absence should submit a Leave of Absence request form to the AAP Office of Admissions and Academic Services, 235 Sibley Dome which explains the reason for the leave. Leaves are granted at the discretion of the DGS, M.F.A. Advisory Committee, and College. Leave dates must also be approved by the University Registrar. Requests to return from leave are granted at the discretion of the DGS and M.F.A. Advisory Committee, and funding is not guaranteed. The M.F.A. candidate must comply with all College, Graduate School, and Cornell University requirements including, but not limited to, timely filing of appropriate forms and requested information. Partial tuition support, when available, is given to all M.F.A. students. Part-time Graduate Assistantships, a component of the program, will provide a stipend to all M.F.A. students. Students work 6 hours per week for their graduate assistantship (stipend). The assistantship may include in and out of classroom responsibilities. The student is required to keep track of their graduate assistant hours. In the event that a student must stay past two years to complete the degree requirements, no financial support or studio space will be provided. Course offerings may vary by semester and year. Students should consult the Class Roster to determine which courses will be offered in a given semester. Art students should expect to spend a minimum of $1,000 and up to $3,000 for expendable supplies each academic year, depending on academic level, courses selected, and projects chosen.